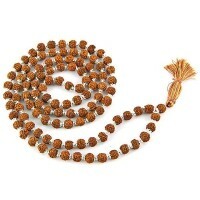 Lovely pink rose quartz beads are hand strung with metal counters on this stunning Prayer Bead mala. Wrap around your wrist as a bracelet. 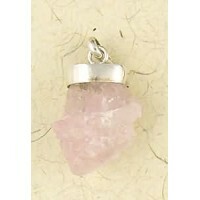 Soft pink rose quartz is a stone of love and beauty. It is a stone of the heart and unconditional love. 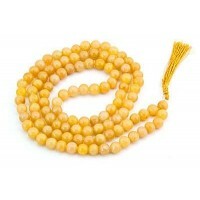 It is a feminine stone of compassion and peace, healing, and comfort. It is a wonderful stone to use to soothe and heal the emotions, especially those of love, loss of love, or grief. It can also help to reawaken the heart to the love of self and others making it great for dealing with divorce. It is a mothering crystal nurturing of self and others. 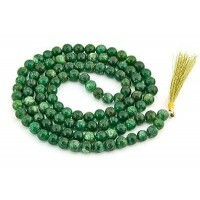 It is a good stone to carry during pregnancy and to strengthen any bonds of love and connection. 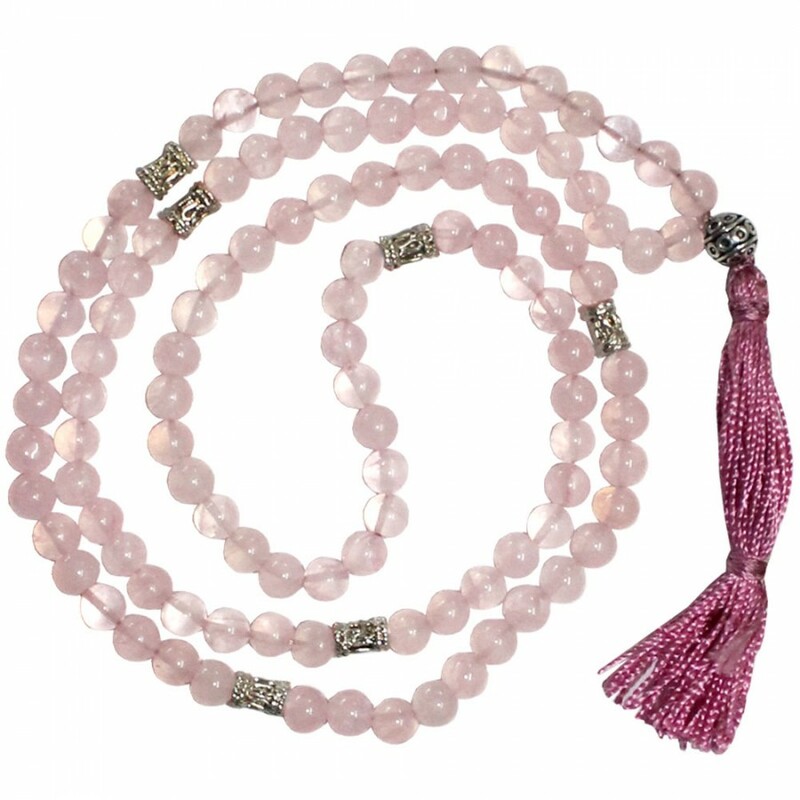 Great for healing or love/relationship prayers, this mala of rose quartz beads is a wonderful tool of meditation and transformation. This handmade strand of rose quartz beads has metals counters signaling the point of repetition or change to a different prayer. 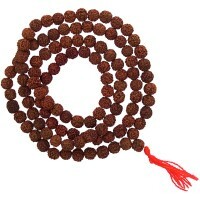 The mala ends with a tassel (color may vary). 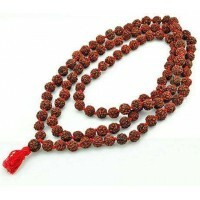 Item Number: KK-98001 | Approximate Size (Inches): 0.25 wide x 0.25 deep x 34.00 high | Approximate Shipping Weight: 0.50 lbs. Natural crystal necklace will vary in size, shape and color but are about 1..